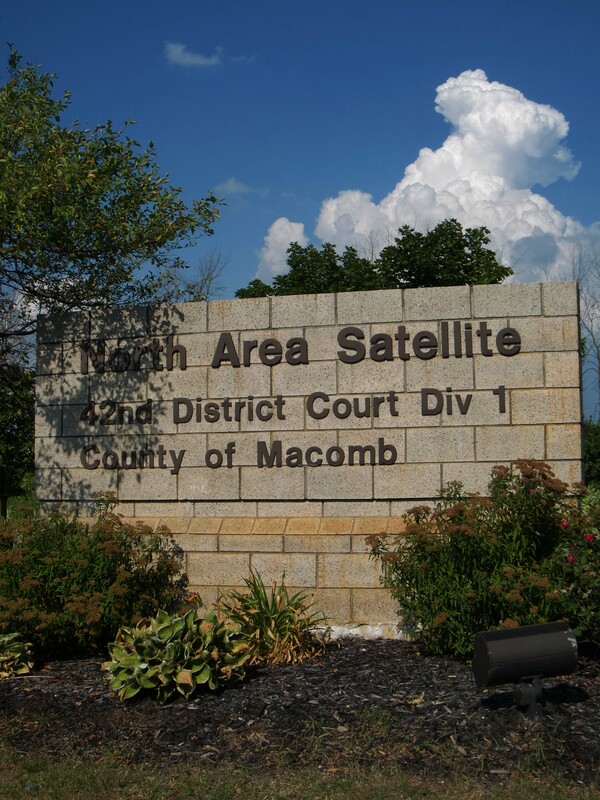 The objective of this blog post is to give readers an idea of what to anticipate if they are being charged with misdemeanor retail fraud in Romeo‘s District Court (42nd District – Division 1). Though our blog and website cover retail fraud extensively, the crime of retail fraud is the purposeful taking (or attempting to take) of an item from a store without the intent of paying for it. Concealing an item with the goal of not paying for it constitutes this type of theft even if you are apprehended before you leave the store. Since the development of the 26 Mile corridor in Washington Twp., on the border of Shelby, our office has seen an increase of retail fraud calls originating from that area. Specifically, our office is frequently retained on retail fraud charges that occur at the Meijer located at 26 Mile Road and Van Dyke. A retail fraud allegation is one that should be taken very seriously. A conviction on one’s permanent record indicating dishonesty can be particularly damaging for those applying for school or a job. However, where defendants retain experienced counsel they can typically keep this charge off their record and avoid being incarcerated. Normally, a retail fraud proceeding that doesn’t go to trial can be resolved in Romeo’s District Court in 3 appearances; an arraignment, a pretrial, and a sentencing. One advantage of retaining counsel is that it will typically cancel out an arraignment date. Beyond allowing clients to avoid taking time off work, this also has favorable legal repercussions. Most notably, going to an arraignment unrepresented can result in an unfavorable resolution of the case or additional terms being added to the bond. If you are arraigned without an attorney it is ALWAYS advised you plead not guilty. The goal in such a case is always to protect the client’s record. This can be accomplished either through a HYTA (for youthful offenders) or 771.1(first time offenders) plea. Most of the time, the case will take two appearances from our office, a pretrial and a sentencing. It is our experience that the presiding Judge, The Honorable Denis LeDuc, really takes time to understand the defendant’s background. To that end, he encourages family members to join the defendant at the podium. Further, before sentencing, it is often required that defendants be screened. A screening is an interview with the probation office to learn more about the defendant’s background. Often they are seeking to determine underlying drinking problems, substance abuse issues, and/or mental health complications. The case concludes with a sentencing, where we have found that clients, so long as they are cooperative during proceedings, are very likely NOT looking at jail. A typical sentence in this Court for a retail fraud charge is going to be about a year of probation. Depending on the circumstances it may be reporting or non-reporting, possibly with testing and counseling where the facts warrant it. If a deferral has been offered (which as we stated it usually is for first time or youthful offenders) there will be no conviction after successful completion of a probationary term. Our office practices frequently in Romeo’s District Court. It is always advised that anyone being charged with a misdemeanor, especially one that speaks to the client’s integrity, retain the help of a qualified advocate. We have had success negotiating HYTA and 771.1 pleas and we always fight for minimal terms of probation. Our experience is that first time offenders should not anticipate jail for such a charge. If you are anxious about a pending retail fraud charge, call the Abdo Law Firm today. We can do same day, evening, and weekend appointments. All voicemails get pushed to our attorneys’ mobile phones, they try their best to return calls promptly after business hours.